For his final cosplay incognito walk through this year’s Comic-Con, Adam suits up as a Judge from the 2012 Dredd film. His helmet, tactical vest, Lawgiver pistol, and all the other pieces of the uniform are painstaking reproductions, weathered to look like they’ve seen some combat. 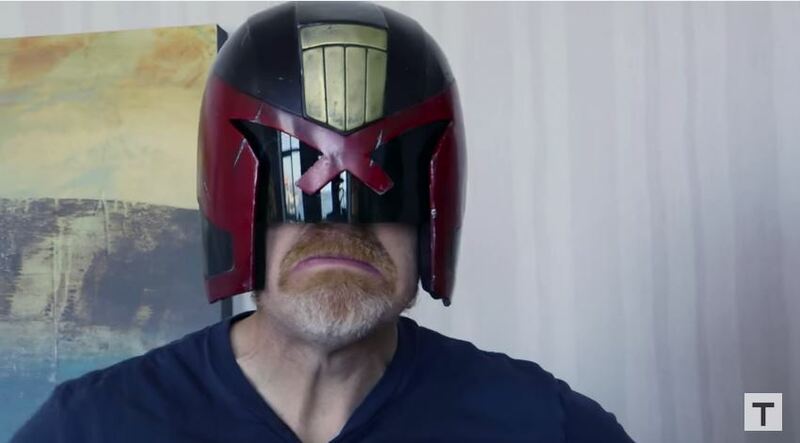 Watch as Judge Savage meets up with a group of other Dredd cosplayers to patrol Comic-Con!